“Tradition is not the adoration of the ashes, but the passing of the flame” – a proverb that could well have served as the motto of the EU project MELT – Migration in Europe and Local Tradition. For almost two years, six partners from different countries joined forces with the support of the Culture Programme of the European Union and raised and pursued the question to what extent migration has an impact on local traditions within Europe. The partners were: two municipal offices (the Department of Arts and Culture of the City of Munich, Germany, as the leading organisation, and the Cultural Policies Office of the City of Genoa, Italy), three cultural associations (Soho in Ottakring, Vienna, Austria; Centre for Interethnic Youth Education, Sighişoara, Romania; Cihangir Neighbourhood Association, İstanbul, Turkey) and a school (Golden Hillock School, Birmingham, UK). 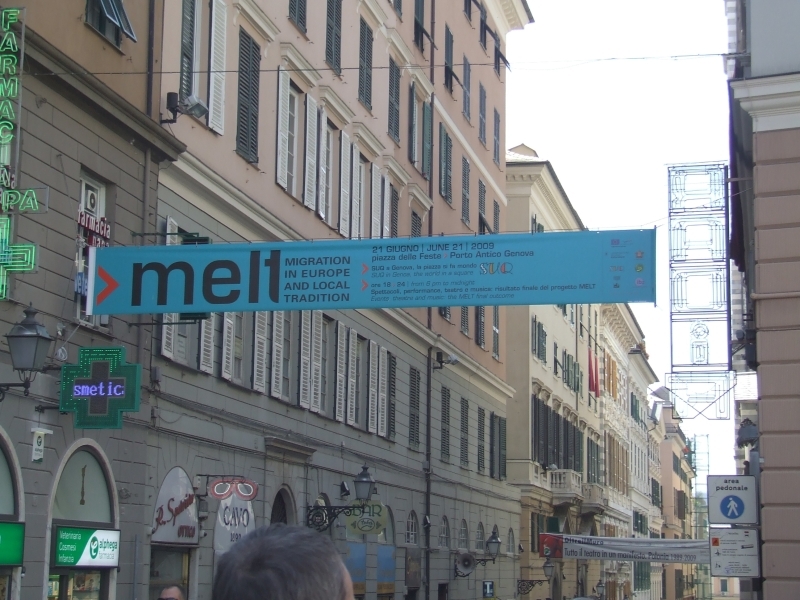 The partners started MELT in November 2007 and ended the project in July 2009. Tradition and migration were the ingredients linking the MELT project and its partners so highly diverse in other respects. Wherever traditions and migration meet, as is primarily the case in urban centres, culture is the leaven which sets processes of change in motion, promotes creative growth and generates new ideas, while also maintaining the cohesion of the “big picture” – urban society as a whole. Traditions have always undergone change, and without change they threaten first to fossilise and then to die out altogether. At some time or other history simply disregards them and continues on its course. MELT strove, within the bounds of its abilities and in accordance with individual situations at local level, to make a clarion call for the hidden riches and the opportunities that can develop from the encounter between tradition and migration.